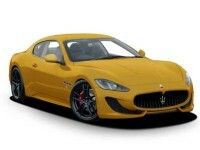 When it comes to cars, few capture the imagination like a gorgeous Maserati! 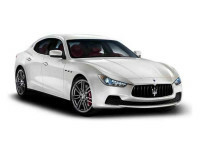 If your imagination’s been captured by the Maserati’s Italian beauty, you’ll be happy to know that you can lease one – any new model Maserati made – right here, at Stamford Car Leasing. 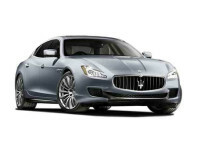 Whether you’re wanting a Maserati Coupe, Ghibli Sedan, GranSport Convertible, GranSport Coupe, GranTurismo Convertible, GranTurismo Coupe, Levante SUV, Quattroporte Sedan, or the Spyder Convertible, we’ve got them all. And just so you know, we’ve also got every new model vehicle made by Acura, Audi, BMW, Buick, Cadillac, Chevrolet, Chrysler, Dodge, Ford, GMC, Honda, Hyundai, Infiniti, Jaguar, Jeep, Kia, Land Rover, Lexus, Lincoln, Mazda, Mercedes-Benz, MINI, Mitsubishi, Nissan, Porsche, Ram, Subaru, Smart, Toyota, Volkswagen, and Volvo! We’ve simply got the most comprehensive inventory of new model vehicles around – and we’re able to offer them to you at the lowest prices around. 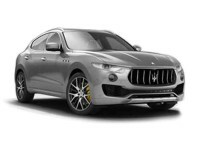 The reason why we’re able to have such an incredible variety and such low prices is because instead of having a physical car lot, we’ve got a virtual one, a car lot that you can find right on the internet. Our virtual lot can be as big as we want it to be, unlike physical car lots which limit the variety of vehicles a leasing company can offer. And our having a virtual lot is so much less expensive than having a physical one! We don’t have to pay the property costs, property taxes, property insurance, utility bills, and other costs that leasing agencies with physical lots do. In other words, having a virtual lot keeps our overhead low, and a low overhead for us means low prices for you. Another great thing about our having a virtual car lot is that our customers get to have the most laid-back, easiest car leasing experience possible. Leasing with us means you won’t have to ask friends or family for a ride, or call a cab, to get to some car lot somewhere. Lease with us, and all you have to do is turn on your computer in your own home, kick back, and surf to our website to check out all those beautiful vehicles on our virtual lot. Do your car shopping morning, noon, or night; we’re always open! And take all the time you need, not worrying about having some salesman following you around, practicing his shtick on you, pressuring you. You’re in control. You set the pace. If you have any questions about our vehicles, we’re just a phone call away, standing by with the answers you need. After you’ve explored our inventory and made your choice, the time comes to think about financing. We make it all easy, as smooth as possible. We work directly with banks and other lenders to make sure our customers get really great financing packages, deals with great terms, low monthly payments, and low interest rates. We’ve often been able to get financing for people whose credit made them think they didn’t stand a chance, so if your credit isn’t as good as it can be, don’t give up hope! Talk to us! When you get to take possession of your new vehicle, we still have your convenience in mind. You won’t have to call friends or for cabs so you can drive to some lot to pick up your ride. Not with us! Instead, we’ll bring your new lease right to your home, office, favorite restaurant while you’re eating lunch – most anywhere that makes things easy on you. Your convenience is our goal! Always! If you’ve got any questions for us, please call us up at 203-295-3030 and fire away! We look forward to meeting you!